Bug Jam hosts two days of comedy by Bound & Gagged, featuring some of the most hilarious comics in the UK, so grab a beer and put your funnybone in a cast- this a sidesplitting way to pass the afternoon. WARNING: Comedy performances may contain adult language and content. Paul Savage has performed all over Britain, from the highlands of Scotland to the bottom tip of Cornwall and the hundreds of places in between. 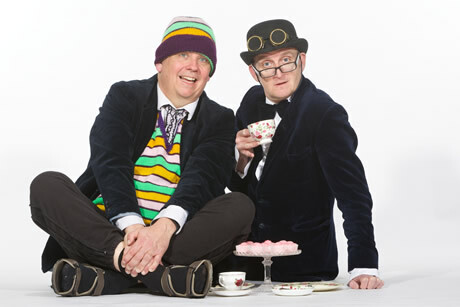 In the 11 years he’s been going, he has performed over 1700 gigs, including 6 runs at the Edinburgh Festival. Top 10 jokes of the fringe 2017: The Guardian, the Mirror, Shortlist, Esquire, The Week. 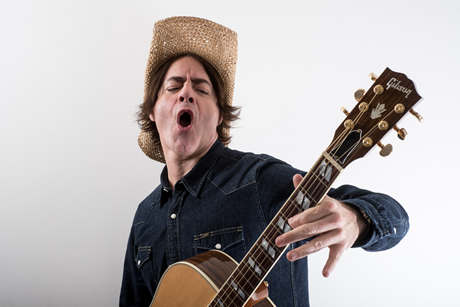 Glenn Moore is a critically-acclaimed and prolific stand-up, writer, and sketch comedian. 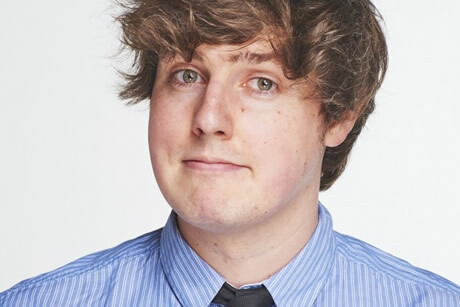 Known for his distinctive and inventive jokes, Glenn has supported Tiff Stevenson, Josie Long and Alun Cochrane on tour, and in September 2017 made his Mock The Week debut for the BBC. 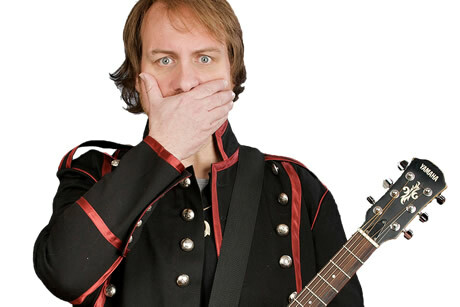 Mitch Benn is not only one of the most sought-after acts on the comedy circuit but is widely acknowledged as one of the best writer/performers of comic songs in the country. 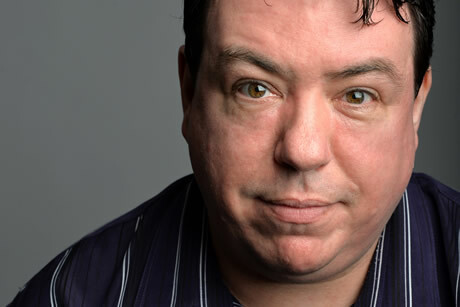 Mitch is a regular writer and performer on ‘The Now Show’ for BBC Radio 4 and regular appears on BBC1’s ‘The One Show’. Sully O'Sullivan's been declared a highlight of the New Zealand International Comedy Festival by The NZ Herald, a highlight of the Glasgow International Comedy Festival by The Scotsman, featured on Australian TV’s The Comedy Channel, hosted a sellout standup tour of Croatia, won Canada’s annual Improvaganza Tournament, and completed 2 UK national tours supporting cult Heavy Metal Comic Steve Hughes. Lanky Scot Leo Kearse is part of the new wave of raw, bold, American-inspired comedians taking the big UK clubs by storm. He works for Just The Tonic, Comedy Loft, Jongleurs, Top Secret, Backyard Club, TED Entertainment and many others. As well as straight standup, he also performs at festivals and cabaret nights as the improvising Pun-Man (Leo is the 2015 UK Pun Champion). Pun-Man got through to the live auditions on Britain's Got Talent. Leo is the co-creator of sellout show Hate 'n' Live, which has top comedians hate on audience suggestions. Since her first tentative steps in 1993, JoJo has gone from open spot to late night TV personality, from global fame on the Internet to international comedy performer, not bad going for someone who until then had never stood on a stage in her life. 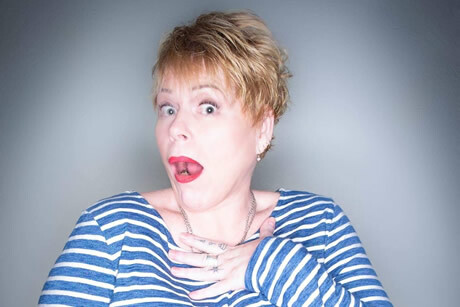 Over the years, her act has moved away from ‘the filth and the fury’ of her youth, and she now describes her material as more real, more honest with just a pinch of tongue-in-cheek bitterness for good measure. "Raunchy comedienne, very, very, funny"
John first walked onto stage as a young child which lead to one of the youngest trespassing charges being brought in the history of Canada. Not really but dumb comments like these lead John to start comedy in 2006, making the move to the UK after winning Canada’s COCA Comedian of the Year Award in 2012 and being the last comedian to be given an hour special on CTV. 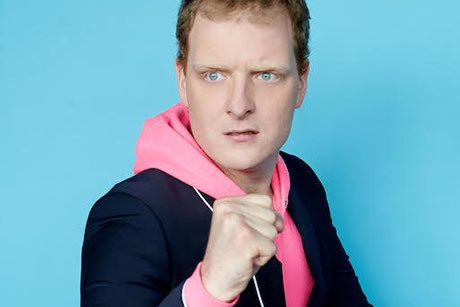 Since that move John has appeared British Television with comedy sets on both Comedy Central’s Stand Up Central and BBC Three’s Sean Walsh’s Late Night Comedy Spectacular. He loves you. 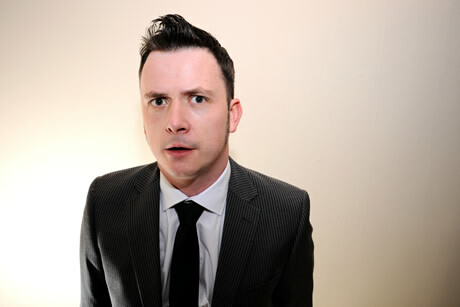 Cornish Comedian Matt Price mixes jokes and stories with audience interaction. He has performed in 30 countries, including 4 tours of Australia and was described by the Scotsman newspaper as "fearlessly funny." Matt is known for having some of the most bizarre true stories from the wilder side of life. 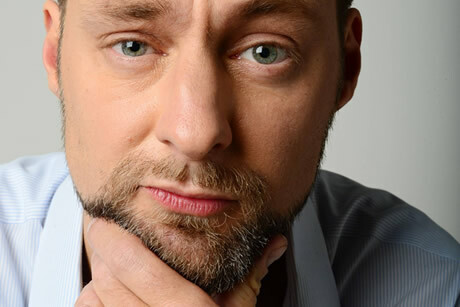 His easy going charm has made him a favourite on the UK and International comedy circuit and he has the skill to win over even the rowdiest of audiences. He returns to the Edinburgh Festival in August 2018 with another solo show.